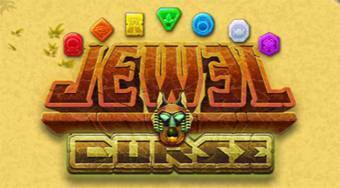 Do you like Jewel Curse? Share it with your friends. Jewel Curse - link trios of gems of same colors and by doing it create golden fields which appears after having removed gems from the game board.